[The Addiction Summit]: Days 13-14 – Encore Weekend at The Addiction Summit! 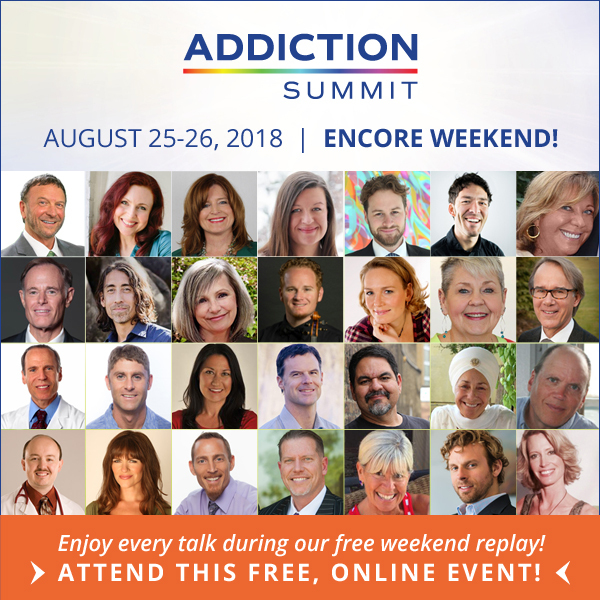 This weekend is Encore Weekend at The Addiction Summit! If you missed some of last week’s life-changing expert talks, they’ll all be unlocked starting Saturday at 10am U.S. eastern (New York time)! Being an addict — food, tobacco, alcohol, opioids, meth, stimulants, technology and/or other behavioral addictions — does NOT have to be your genetic destiny! Encore Weekend at The #AddictionSummit! All expert talks unlocked starting Saturday at 10am U.S. eastern (New York time)! 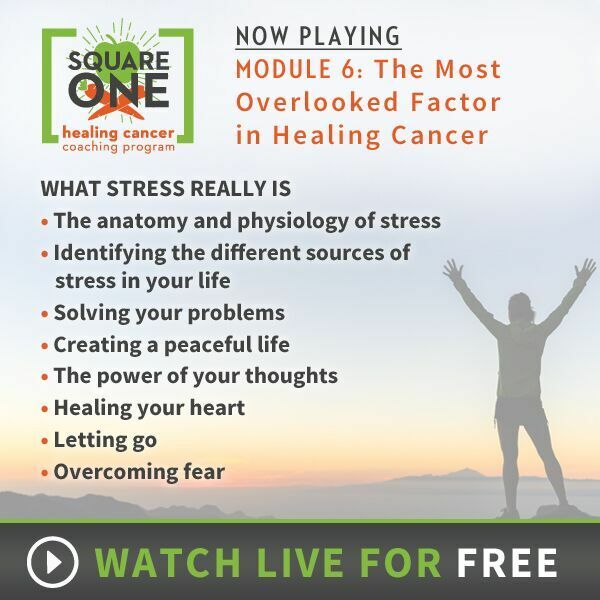 The Final Module in the SQUARE ONE Healing Cancer Coaching Program is now LIVE! This Module is another GAME CHANGER! p.s. Time is running out! If you’ve missed watching any of the SQUARE ONE free screening, or would like to watch it all over again, be sure to check out the HUGE discount Chris is offering. The entire course is available at 57% off until the free online viewing ends tonight at midnight Pacific! 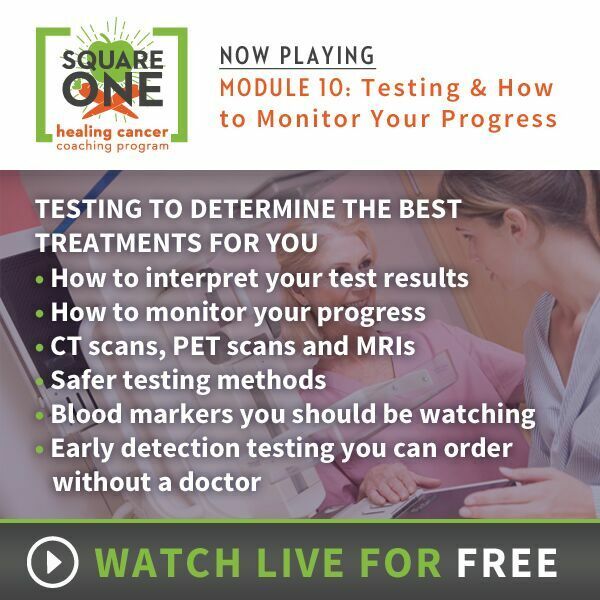 There is SO MUCH more to SQUARE ONE than the video modules… learn more about it right here. Square One Module 9 is live! There is a ton of scientific research on specific natural compounds proven to have significant anti-cancer and health promoting effects, but some of these compounds aren’t normally in our diet. That’s where supplements come in. Tonight I will simplify it for you and break it down to the essentials. We’ll also cover anti-cancer herbs, teas and a few key detox products as well. Catch up on Module 8 while it’s still up today and tune in tonight for Module 9! p.s. We are getting close to the end of the SQUARE ONE free screening! But it doesn’t have to end after the 10th and final Module. There’s so much more to the SQUARE ONE Program. And with the limited time 50% off discount, owning SQUARE ONE is super affordable. 🙂 And it comes with a full 6-month money-back guarantee. 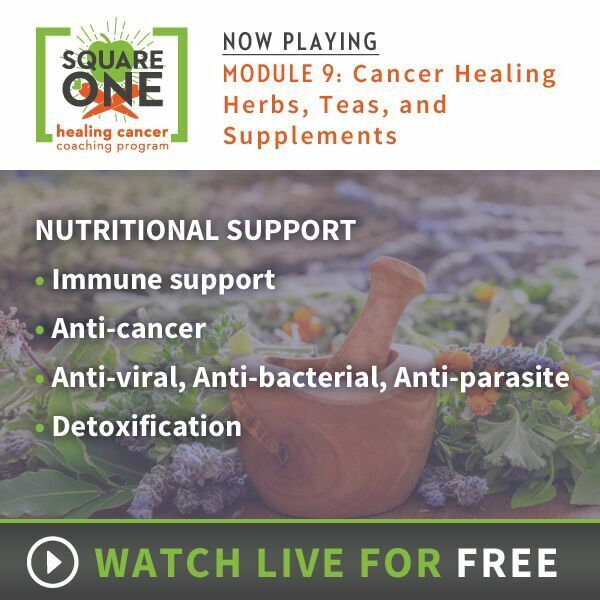 Now is the perfect time to join our SQUARE ONE community, take control of your health, and start your healing adventure! It’s a deeply personal one, and some people don’t like when I share the details of my faith journey, but the outpouring of love since it aired last night has confirmed that it definitely belongs in the course… Thank you so much! 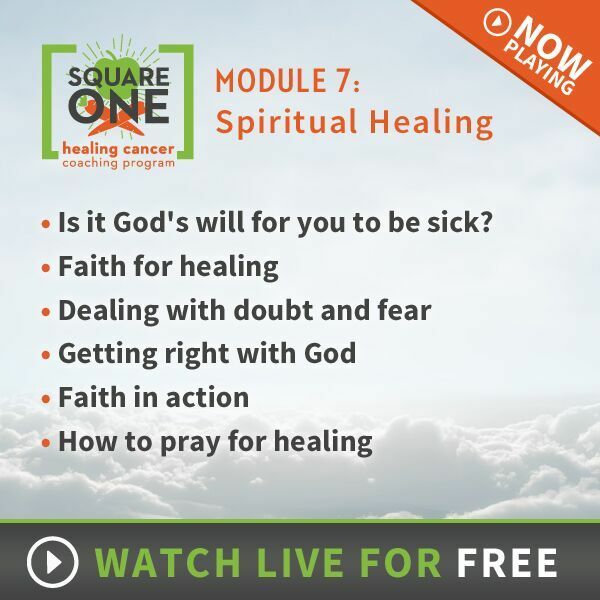 In Module 7: Spiritual Healing, I talk about my personal faith journey through the healing process. I also tackle the tough spiritual questions that every cancer patient struggles with. – Is it God’s will for you to be sick? If you are a Believer, this module will light you up! If you aren’t sure what you believe, my hope is that this will inspire you open your mind and your heart and to reach out and ask for guidance, answers and help. Tonight we’ll be talking about more heavy stuff… weight lifting! LOL Not really. 😉 I’ll be talking about the amazing benefits of exercise on health and healing, the best types of exercise for your immune system, how much you need, how much is too much, how to get optimal healing rest and sleep and a lot more. It’s easy to go through life in a state of chronic stress without realizing how heavy the burden is… It’s like carrying a backpack full of bricks. Removing stress and healing your heart is critical to restoring your health and keeping your immune system strong. 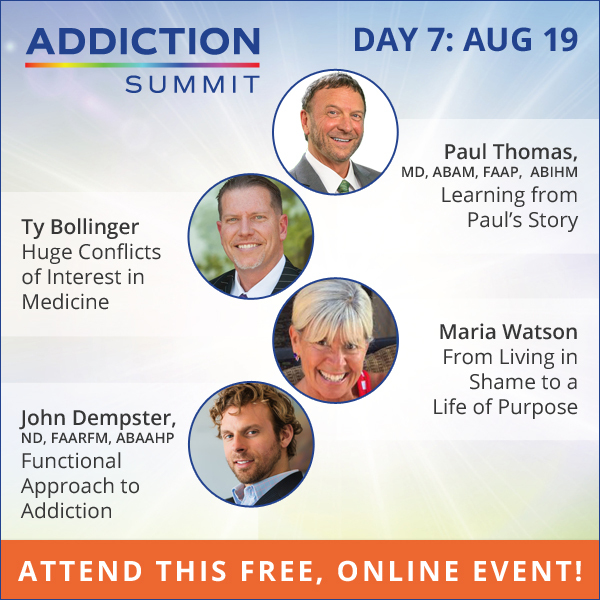 [The Addiction Summit]: Day 7 – Learn from Dr. Paul Thomas’ Personal Addiction Story! 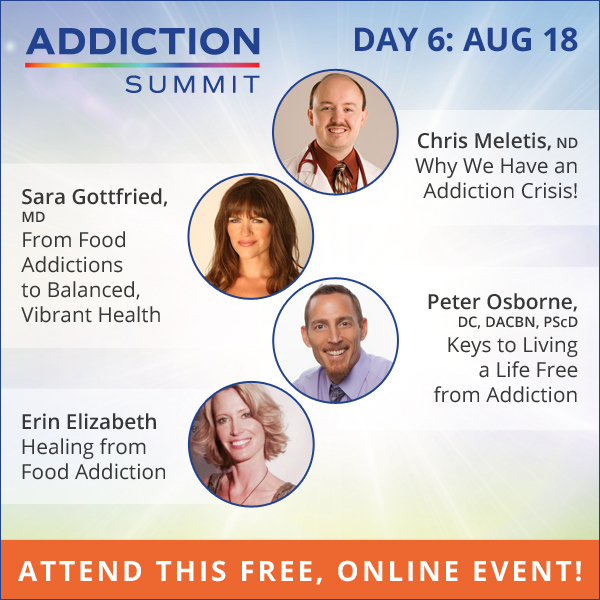 Today at The Addiction Summit, learn how Dr. Paul Thomas became an alcoholic due to a combination of stress, poor nutrition, nutrient deficiencies, poor sleep and lack of exercise along with the loss of my supportive community. Tune in now! Just how toxic is your body & your environment? Toxicity is a root cause of many diseases, and one of my goals in SQUARE ONE is to help you reduce your toxic load. 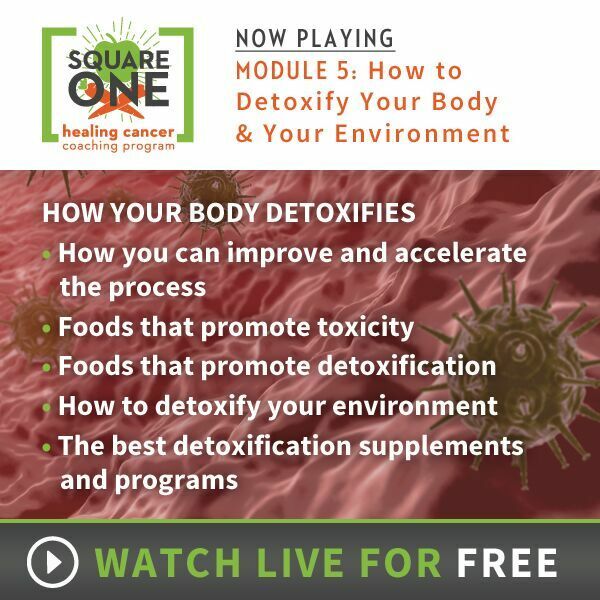 In Module 5: How to Detoxify Your Body & Your Environment, I will help you identify the hidden harmful toxins that may be affecting your health, so you can remove them from your life, and show you how to open up your body’s detoxification pathways to help you heal and stay healthy. Go watch Module 5 now and learn how to protect yourself with simple strategies to safely remove toxins from your body and your life. 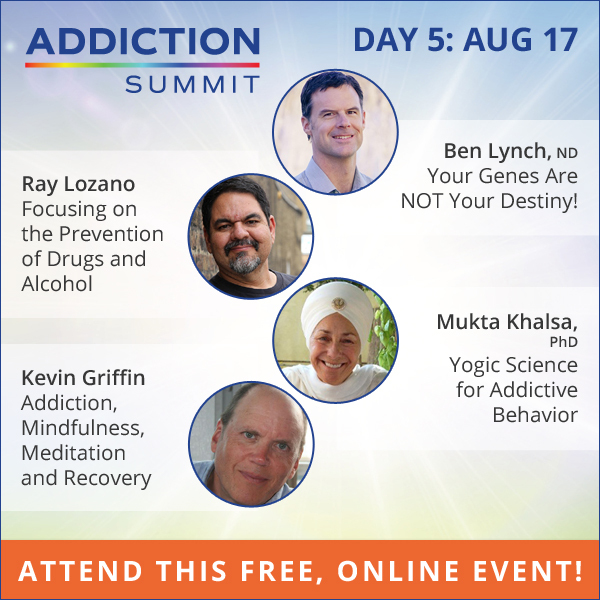 [The Addiction Summit]: Day 6 – Do Lifestyle Decisions Impact Addictions and Recovery? Do lifestyle decisions impact addictions and recovery? Yes, it’s about lifestyle choices! At today’s Addiction Summit, Dr. Sara Gottfried shares her own struggle with food. Naturopath Chris Meletis outlines health moves you can make to achieve freedom and vibrant health. Dr. Peter Osborne and Erin Elizabeth address digital detox and the importance of lifestyle choices. Join us and ENJOY learning! 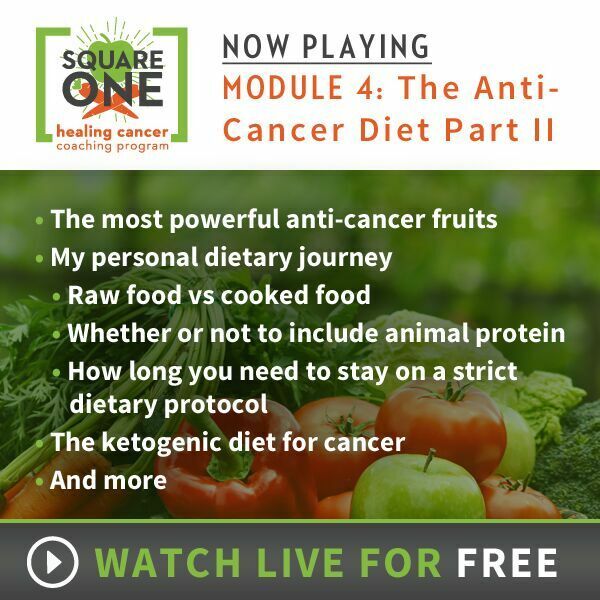 SQUARE ONE Module 4: The Anti-Cancer Diet Part 2 is now LIVE! Most of the questions posted in the comments section after Module 3 will be answered in Module 4! 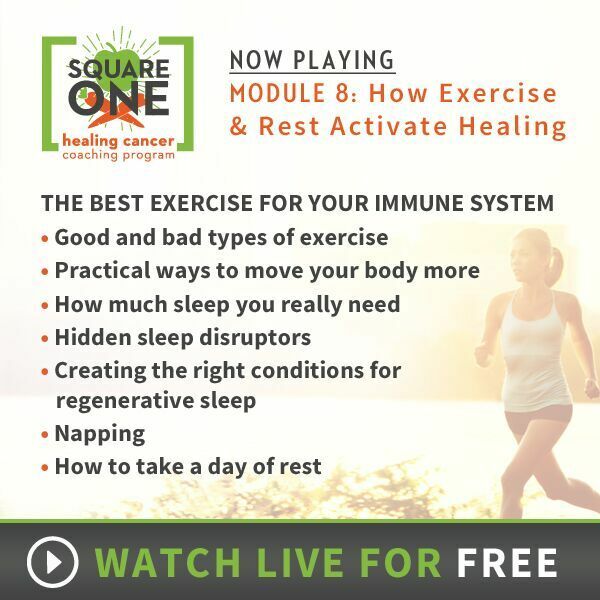 The SQUARE ONE Program is all about giving you the best, evidence-based information on healing and preventing cancer, and a simple strategy to help you take MASSIVE ACTION to change your life! That’s why I created the SQUARE ONE Guide Book, which is included in your purchase of any of the three packages. Here’s what’s inside the Guide Book: The Daily Schedule, The Recipe Guide, The Supplement Guide, The Healthy Home Guide, The Testing & Monitoring Guide, My Cancer Clinic Rolodex, and excerpts from My 2004 Prayer Journal.